Most batteries slowly lose power over time, even when not in use. But Duralock technology keeps unused batteries fresh and powered for up to 10 years in ambient storage. So you can stock up on Duracell batteries without worry. Ordinary zinc-carbon batteries contain fewer active ingredients inside and lose energy over time as chemical reactions go on constantly. Unlike zinc-carbon batteries, Duracell is filled with 2 times more active ingredients, which are locked inside a unique durable construction. It prevents battery leakage and helps the battery last significantly longer. Duralock is an exclusive power preservation system, which saves energy so effectively that your battery is guaranteed to stay powered for up to 10 years in ambient storage. One single Duracell battery is several times more efficient than a zinc-carbon battery. 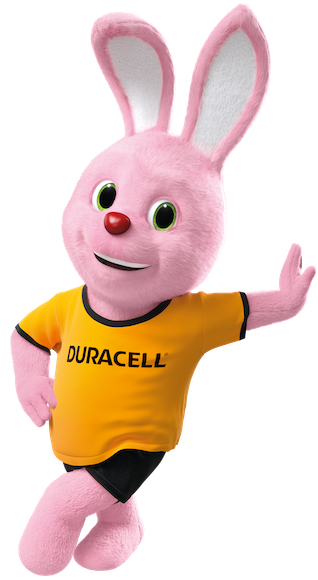 Additionally, Duracell batteries are protected from losing energy over time by the unique Duralock Technology. One single Duracell battery with Duralock Power Preserve Technology is several times more efficient than a zinc-carbon battery. It lasts considerably longer as its concentrated power is tightly locked in a robust case. Duracell offers a wide range of multi-purpose batteries suitable for use in everyday devices that require reliable power. To find a Duracell battery with Duralock, look on the packaging for the Duralock ring and a “good until” date on the entire portfolio of Duracell batteries, including Duracell Ultra, Duracell Coppertop, Rechargeable, Duracell Hearing Aid and Specialty Batteries. Duracell with Duralock products are available in stores nationwide. No ordinary zinc-carbon batteries work and last like them.